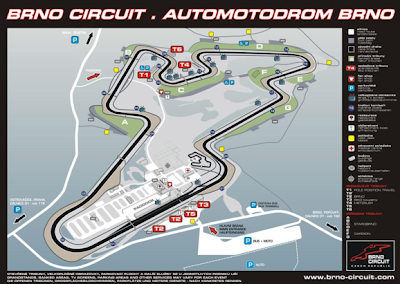 Today Kristian is in the speaker box commenting on the FIA Formula masters race Live from Brno. 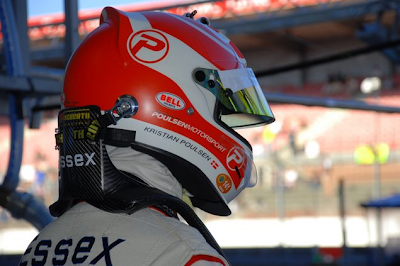 The danish driver Kasper Andersen won the last race in the series in Valencia. Follow qualifying and the race LIVE on Eurosport. Yesterday, Kristian Poulsen, Casper Elgaard and Teamowner Peter Halvorsen were invited to the City Hall by mayor Nicolaj Wammen. 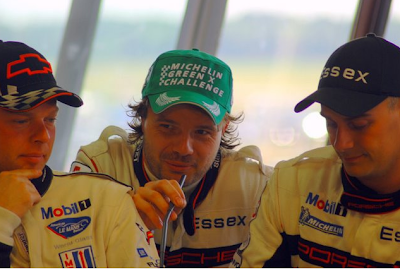 They were congratuated on the winning of Le Mans and asked to write in the book of the city of Århus. 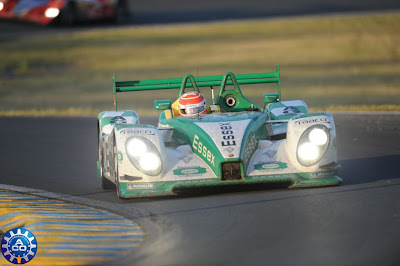 Finally she song... and Casper drove the car across the finishline at 15 pm, as the first car in the LMP2 and the Winner of Le Mans 2009 (LMP2). It was amazing and very moving. The whole team had worked so hard and made no mistakes, within the whole race...and it paid off. What we had all been dreaming off came through. 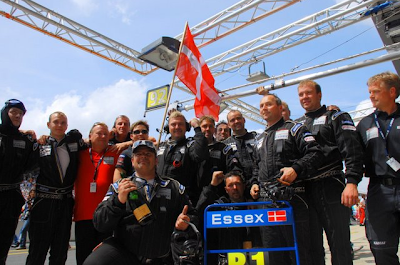 The first danish team to be on the podium at Le Mans ever. 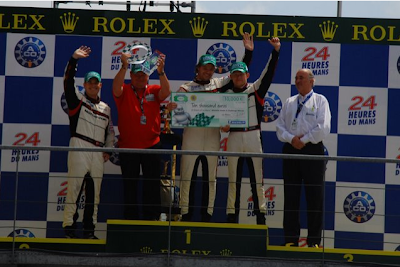 Congratulations to the drivers and the whole team - well done! In the early morning hours with Collard behind the weels there was a crash. 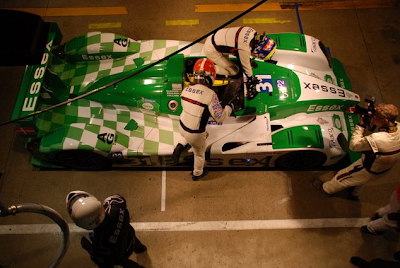 Team Goh - the other LMP2 Porsche drove into the Essex Porsche and both cars had to pit. The mechanics did an amazing job reparing the car and it was back on track within 5 minutes. At 4.27am after a couple of hours of rest Kristian got ready to drive. 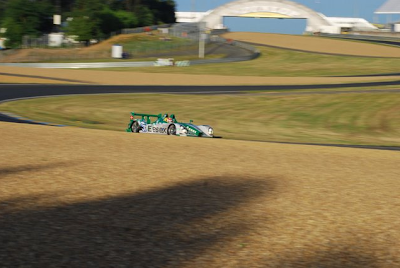 Casper had just finished two stints and Collard was in the car...still leading but it was very close race. The sun was getting up as Kristian drove out of the pit. 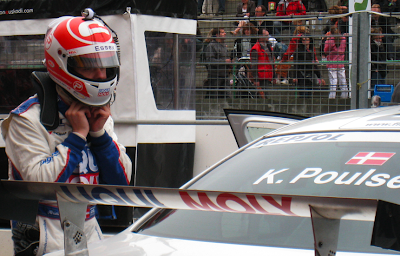 "It was fantastic to see the sun getting up behind the Dunlop curve racing the leading car" Said Kristian. 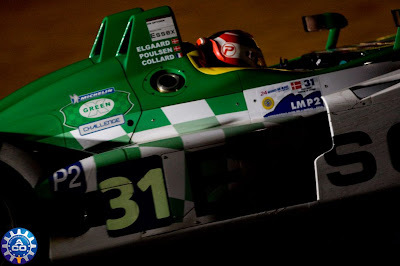 Casper and Collard drove the car all night and needed rest to be able to do the rest of the race. 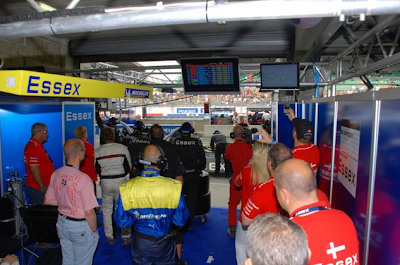 At 15pm the 24 hours Le Mans 2009 started. 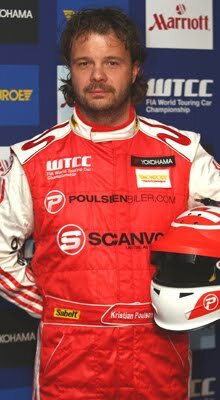 Emanuelle Collard was the first driver in the car and held the pole position at the start of the race. 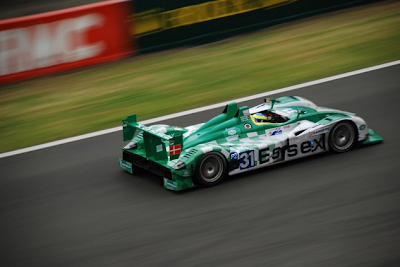 Casper Elgaard took over and drove three stints (3 x 12 laps) still as the leading car with a gap of a minute to no.2. 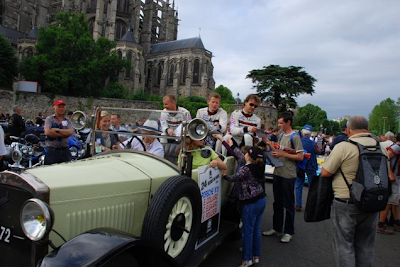 On friday the drivers were presented at the official parade in the centre of Le Mans. It is a fantastic event and the city is packed with people. 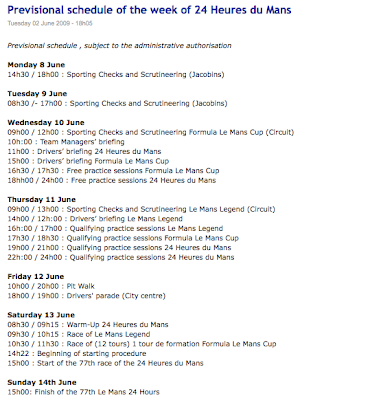 Thursday from 8pm to 12pm qualifying and training was on. 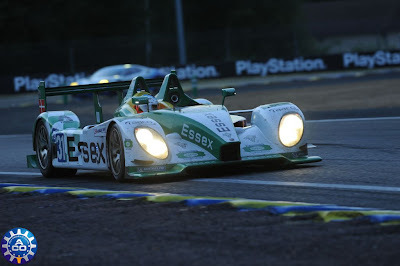 The Essex team set the fastest laptime and qualified for a poleposition in the LMP2 class and p20 all over. Kristian had his first laps in the dark and drove the official rokey laps to qualify for the race. Everything went well and the team is ready for saturday. 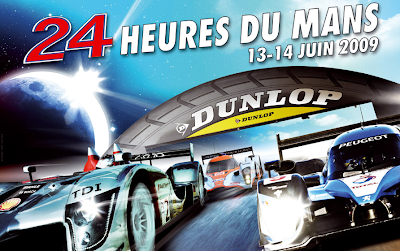 The countdown for the 77th edition of the legendary Le Mans has begun. Kristian and Casper just arrived at Le Mans, ready for the preparations starting with sporting checks and scrutineering tomorrow. The programme is listed above. 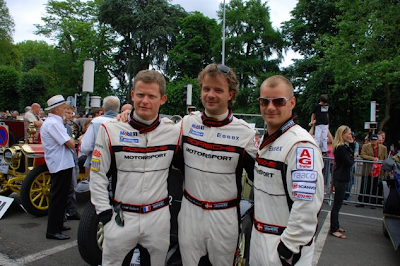 Today in Copenhagen, there was a press conference as a run-up for this years Le Mans. 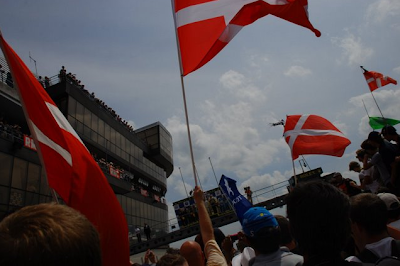 The danish drivers were presented and anwsered questions from the press regarding the legendary race next weekend. Kristian Poulsen and Casper Elgaard represented Team Essex.